65for65roses …. 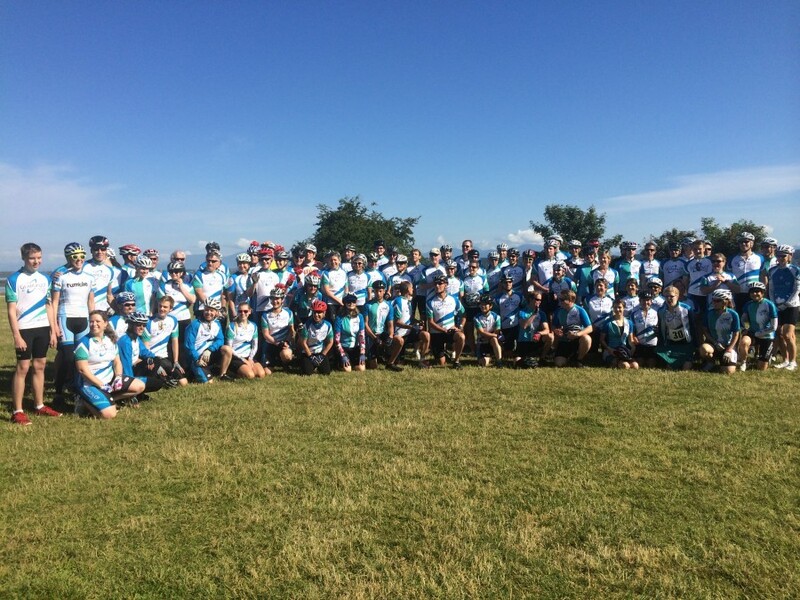 a great ride for a great cause! 65for65roses Eva's dad is turning 65 this spring. He thought it fitting to train for and to ride in the GearUp4CF 1200 km/9 day cycle from Vancouver to Banff in June. 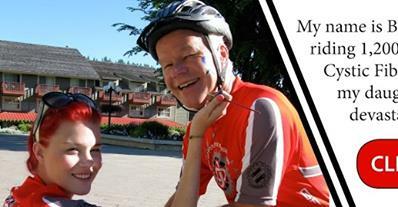 His goal is lofty ... to raise $65,000 for CF research, in honour of Eva and her 65_redroses legacy. Scientists are making amazing progress in developing new treatments that can significantly help CF sufferers. Training is very challenging but fundraising is even more difficult. All donations go to support CF research. How can you help? SUPPORT Bill's ride</b>. Go to the 65for65 blog and click on the donate button. You can also follow Bill's training as he prepares for the big ride over the next several months. FYI, a tax receipt will be issued by CF Canada for donations over $20. SHARE this blog and fundraising appeal to all you know with an interest in supporting Eva's hope for a better life for CF patients. Eva would have been 29. Check out a memorial mention in the local newspaper. Across Canada, on Sunday May 26 thousands of people will take 'Great Strides' in the quest to support CF research. This research is crucial to finding better treatments and ultimately a cure for CF. That is what it is all about! (organized by the cfVancouver office). SEARCH to join the 'Reddy4aCure' team, and let's walk together! has been chosen to help celebrate the 20th anniversary of HotDocs, the premier documentary film event in Canada. all of which are deemed to have had a great effect in the world of film. Pass this on to your Toronto friends!! Great gift buying online from the new CFVancouver online shopping site. **NEW ITEM** - stationary cards, '1 dozen roses', based on the painting 65redroses. (2 each of 6 roses) All proceeds go to fund CF research. Americans can now purchase the documentary 65_RedRoses (the Oprah Winfrey Network version) on iTunes in the U.S.
Are you in Canada or the US? You can also buy the DVD and other items at HelloCoolWorldstore.com, in the 65_RedRoses Store section. (Direct link: http://www.hellocoolworldstore.com/home.php?cat=282) Use Promo code #4EvaHeart for 20% off all items. For those of you that want to help us get the film to more people, you can buy our Ambassador kits, five copies of the DVD for only $50! (Canada only). Great for those who want to re-sell as fundraisers for CF or Organ Donation causes! Are you in Vancouver? Contact us to find out when our PopUpShop in Chinatown is open during December so you can save on shipping and enjoy holiday treats. Call 604 251 5567, or email store@HelloCoolWorld.com for location and times. Are you outside of North America?. Email store@HelloCoolWorld.com to find out how to get the DVD. . Overseas shipping rates will apply. June 19 is the 'official' release date for the US DVD of 65_redroses. Go to http://www.65redroses.com or, you can link directly to the company handling the DVD sales, 'Hello Cool World' at http://www.hellocoolworldstore.com/home.php?cat=282. There is also an APP.